When we go to an electronic mall to buy a new SSD, we usually think: which model and brand should I choose? We may feel confused because there are a lot of well-known brands, like Intel and Samsung, and at the same time there are such “noname” brands as SmartBuy, ADATA, Silicon Power, and others. What’s the difference between brands and models? In speed? Stability? Several years ago, only a few manufacturers were producing SSDs. In 2007-2008, those were Intel, Samsung, and Micron. Of course, if you search the Internet, you will probably find more manufacturers, but at the beginning there were only three main players. Intel and Samsung were the major manufacturers who produced their own controllers, NAND chips and firmwares, so basically they were able to provide a ready-made SSD solution in the market. At the same time, the Micron company had only a part of NAND Flash manufacturer business (together with Intel), so they were able to produce Flash chips only. However, the Micron company decided to open their own SSD brand too. The reason is, the market of solid state drives was growing very fast at the end of the 2000’s, so they didn’t want to stay aside while their competitors could shovel in money. 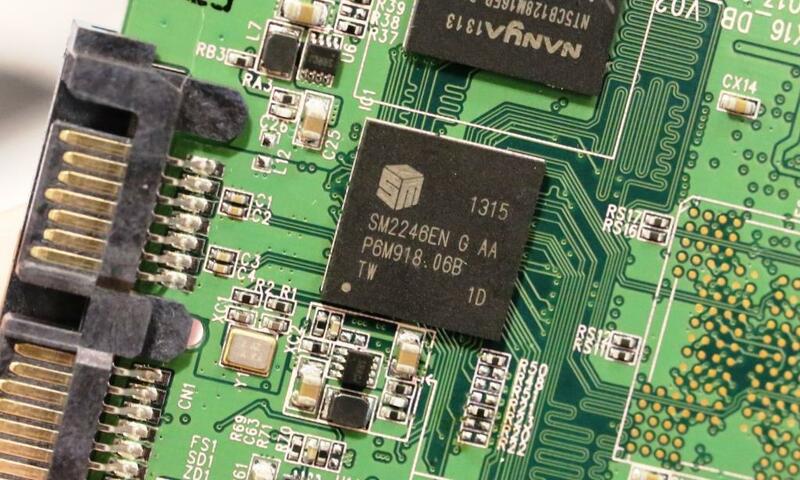 For Micron, the most complicated thing in SSD development was the problem to find a supplier who could develop and produce enough SSD controllers for Micron. Finally, such a company was found. 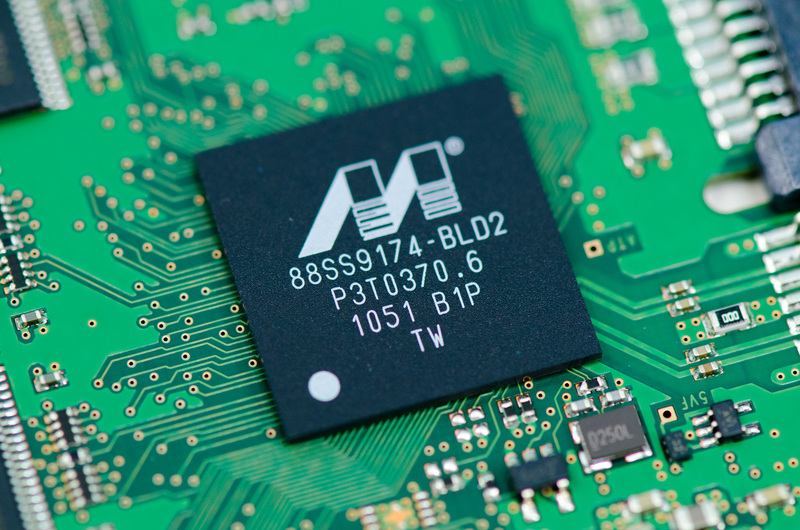 Marvell, a well-known manufacturer of different CPU chips, controllers and bridges, decided to create a new-generation controller – Marvell 88SS9174 – and use it in Micron’s SSD. Unfortunately, the usage of the Marvell controller was very complicated because the Development Kit of this CPU did not include any default firmware and PCB design. Consequently, Micron had to write their own microcode and make the design of an electronic board. At the same time, other companies, like Sandisk, Lite-on and Plextor, also decided to release their products to the SSD market and bought a license for Marvell CPU for further development. They managed to release very fast and pretty stable drives to the market, but, as well as Micron, they faced difficulties with the development of firmwares and PCB design. That’s why the Marvell-based SSDs are totally different between one another, both externally and internally. And that’s why it’s not easy to create a unique TechnoMode for all families of these drives. Each combination of Brand and CPU contains its own firmware version with its own TechnoCommands! In 2009-2010, when MLC NAND Flash memory became cheaper, some smaller manufacturers, like Kingston, Corsair, Apacer and ADATA, tried to conquer the SSD market with their own models, and they managed to occupy a certain part of the market. The only thing left for the manufacturer before the release – to add an SSD name in the drive passport template, and to start selling it like hotcakes! The new and very simple way of SSD creation became extremely popular among third-party companies that rapidly started to produce their own drives. A good speed of writing and reading in combination with the “easy and half-ready” SSD designer, made SandForce one of the most popular controllers in the market. Unfortunately, the SandForce CPU is not a fully safe and stable controller, and a lot of damaged drives based on this processor appear in Data Recovery companies. Some time later, the leading brands also understood that it’s not a good idea to use the SF controllers, and they decided to cancel any usage of this CPU in their SSD models. 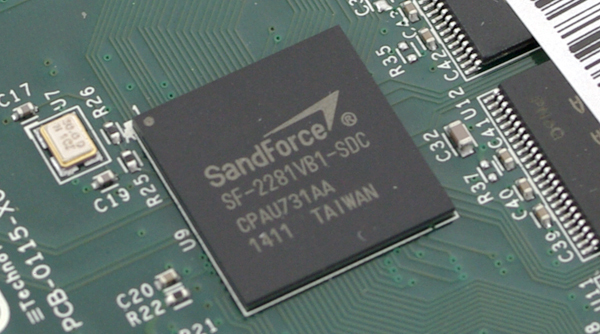 Starting from 2013, the SandForce CPUs are no longer used by the leading SSD brands. 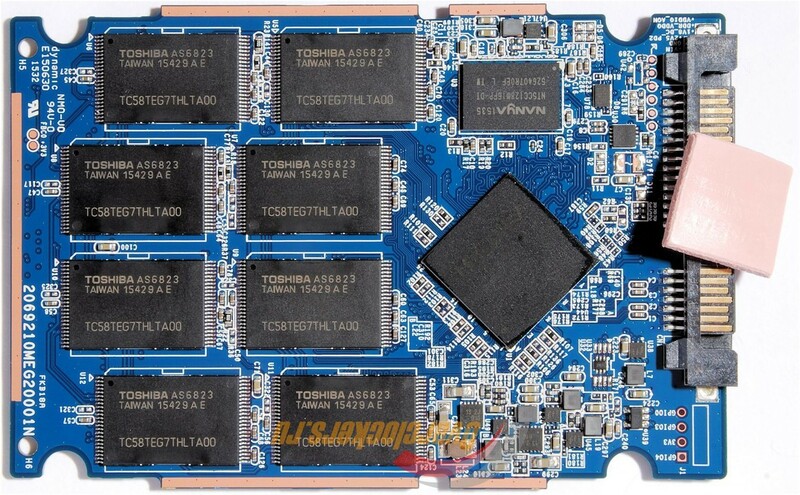 Nevertheless, a lot of Chinese companies are still using the SandForce CPUs in their cheap and no-name SSD models. 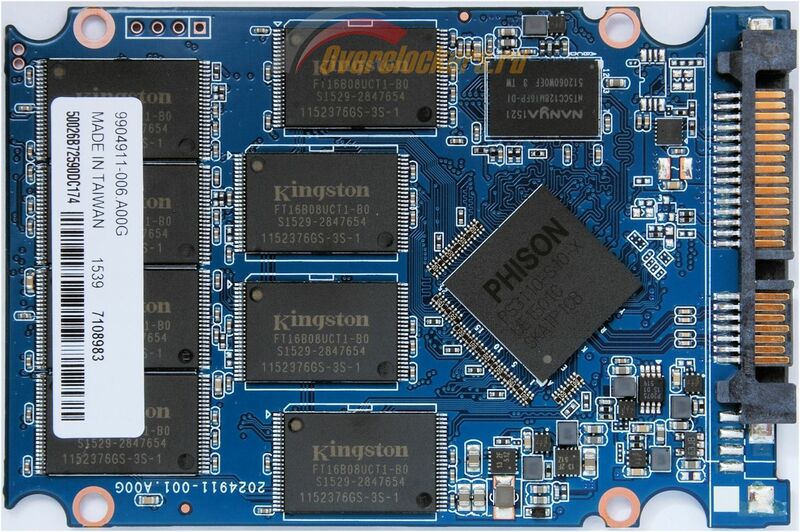 The idea to release a ready-made “construction kit” for SSD seemed very exciting, and two companies, Phison and Silicon Motion, who had previously produced only small controllers for NAND Flash USB\SD\CF drives, decided to improve their CompactFlash CPU and start to conquer the market. 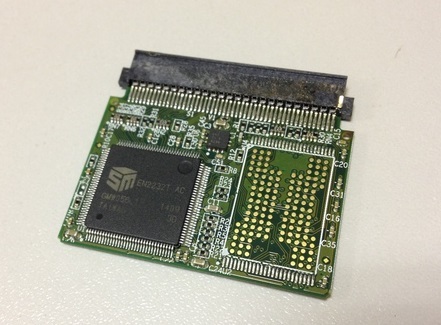 Silicon Motion took its modification of SM22xx CPU from CF cards, improved it, added a lot of new features, and started to produce two main platforms – SM2244 and SM2256. Both modifications became very popular due the low cost and high speed. Such companies as Crucial, AMD, A-DATA and a lot of smaller brands also introduced their versions of SSDs based on the SM controller. 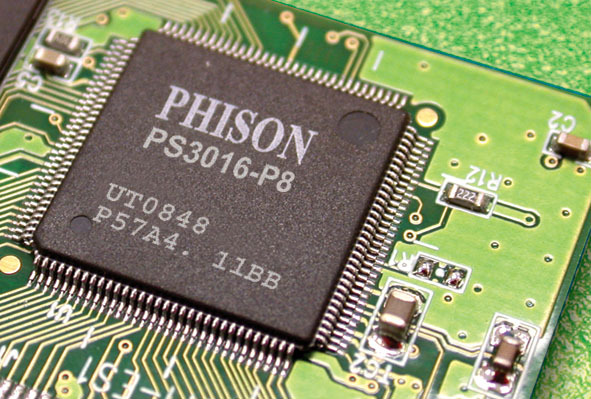 Another manufacturer, Phison, developed their own CPU also based on a CF modification – PS31xx. You can find this CPU in Kingston UV300, SmartBuy Ignition 2, SmartBuy Ignition 4, OCZ Trion 100 and Trion 150 and in some other devices. The curious thing is that OCZ Trion drives are considered to be based on Toshiba CPU, but in reality it’s just renamed Phison SSD with default Phison PCB design and FW. These two CPU manufacturers have become very popular. 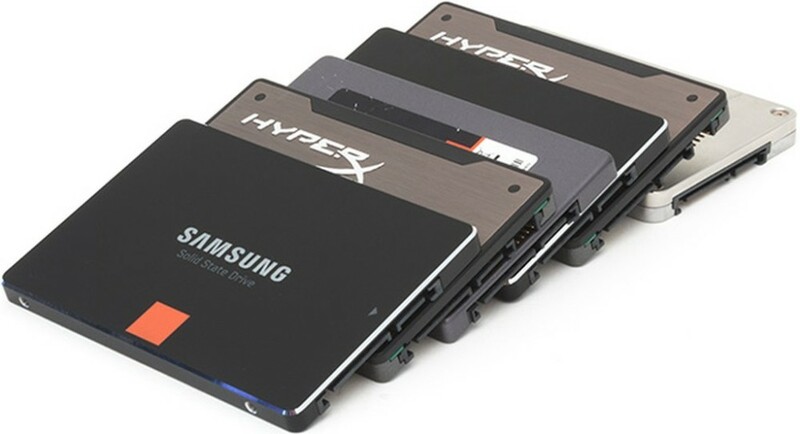 More and more SSD models are using their platforms. No wonder, the Marvell company also decided to change its policy and release something new. In mid-2016, they released a new CPU Marvell 88NV1120, based on a brand-new arcitecture – simple and stable at the same time. Inside one central processor, they placed integrated RAM, ROM and other buffers to make a highly-integrated SoC. The controller has become really tiny – as a result, it has low temperature and low voltage for power supply. 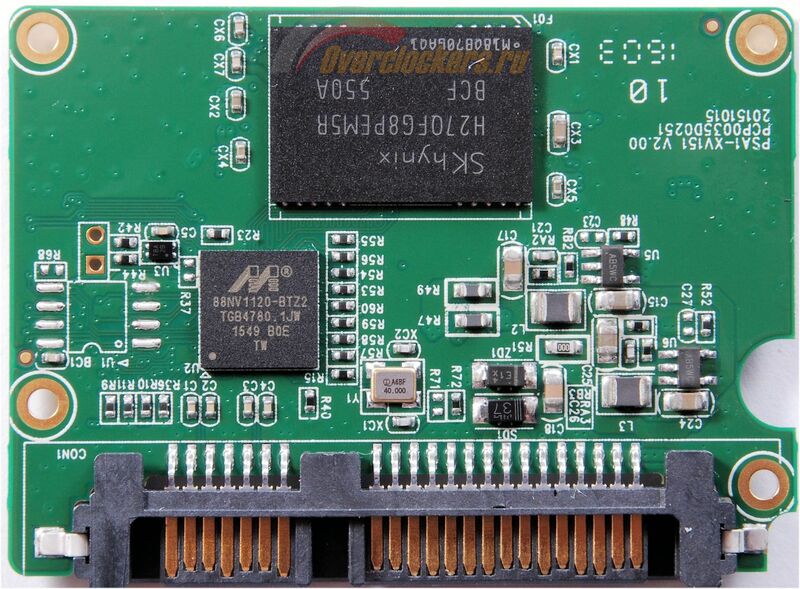 The drives which are based on this controller are amazingly cheap – a 120GB model based on this Marvell 88NV1120 controller costs just around 35$. That‘s an incredibly low price! Eventually, we can see the situation when all brands decided to make their SSD manufacturing technology very easy and unified. It means the same technological modes, the same speed and functionality for the SSDs based on the same CPU! No matter who produces the drive and which lable it has – they will be absolutely the same. Marvell – they produce both types of controllers – for high-speed machines “by the old way” like 88SS9189/88SS9190 (CPU only – a third-party manufacturer should make its own PCB and FW design), and for low-level machines (universal platform) – Marvell 88NV1120 family. By the way, Jmicron with their JMF-based SSD, and OCZ with their not bad Barefoot controllers have started to disappear. Not sure what happened to them, but the number of drives with their native controllers is getting smaller. More and more third-party manufacturers are using the universal Development Kits (Phison, SM). Samsung will keep producing their own SSDs with their own FW, CPU and NAND chips. Intel (if we can believe the rumors) is going to release a new SSD controller based on their proprietary technology and developed “from scratch”. OCZ is going (we hope so) to improve the firmware of Barefoot 3 platform and to release a new modification of Barefoot 4 – probably, for their own Middle-Range and High-End families of SSD. This entry was posted in Articles, PC-3000 SSD and tagged Data Recovery, Kingston, Marvell, ocz, Samsung, SandForce, SSD. Bookmark the permalink. Nothing, but as I remember – they are very rare on the market of SSD. At least we didn’t meet them after last Seagate 600 release.